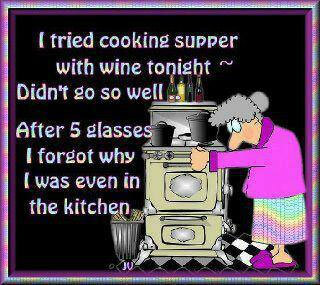 I tried cooking supper with wine tonight. Didn’t go so well. After 5 glasses I forgot why I was even in the kitchen. Created about 7 yrs, 18 days ago (April 5, 2012). Updated about 7 yrs, 18 days ago (April 5, 2012).